Bois d’Arc Lake is Texas’ first new major reservoir in nearly 30 years. 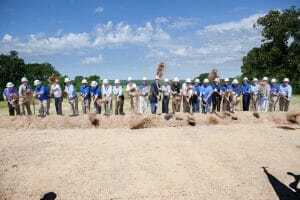 The 16,641-acre lake will be located northeast of the city of Bonham in Fannin County. The lake’s name honors local history and recognizes the Bois d’Arc tree as a distinctive symbol with special significance for the region. Bois d’Arc Lake will meet the water needs and demands for our growing region of 1.7 million people until 2040. Low-interest funding approved by the state will pay for nearly all of the project and save the District and ratepayers millions in financing costs. NTMWD is governed by a 25 member board of directors who are appointed by our 13 Member Cities.